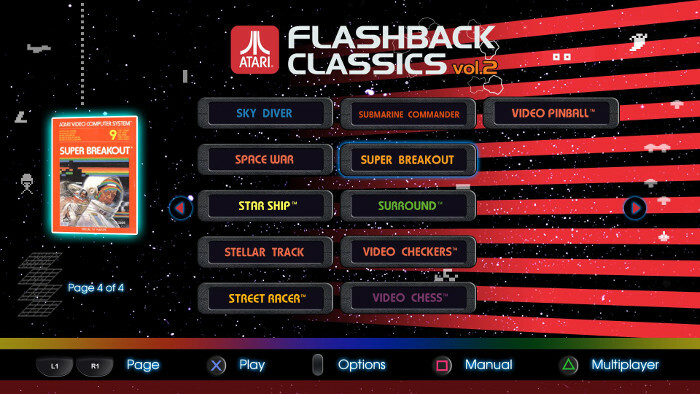 On October 4, 2016, Atari released two collections of classic Atari games for PS4 and Xbox One: Atari Flashback Classics Vol. 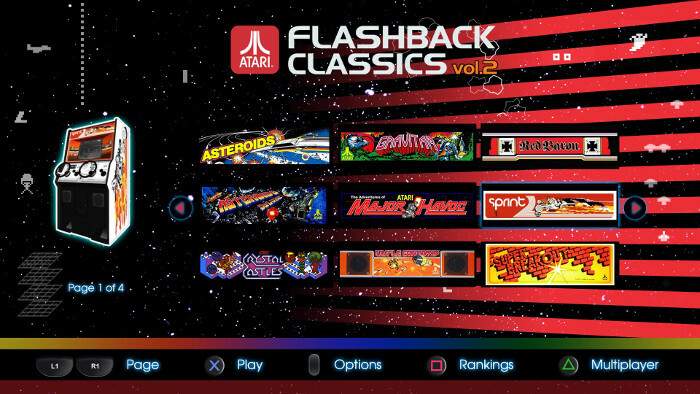 1 and Atari Flashback Classics Vol. 2. This is just a matter of opinion, but we think Vol. 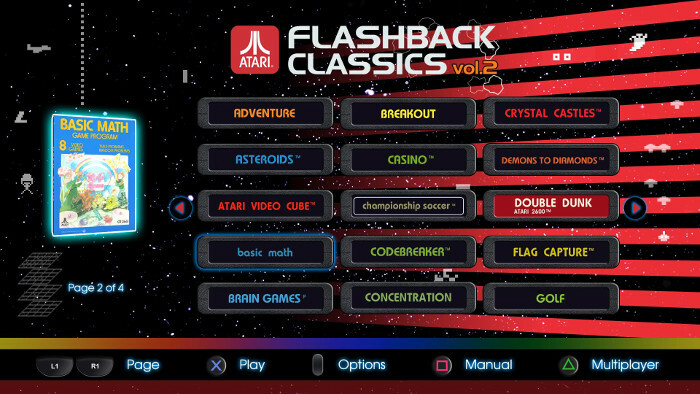 2 has more variety (sports titles feel a bit over-represented on the first volume), while Vol. 1 has better cover art. 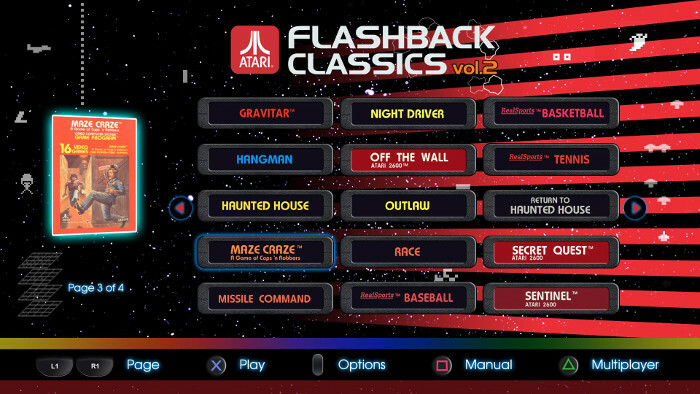 Unfortunately, the back covers of these games just mention a few of the high points instead of a full list of all 50 titles included on each disc. 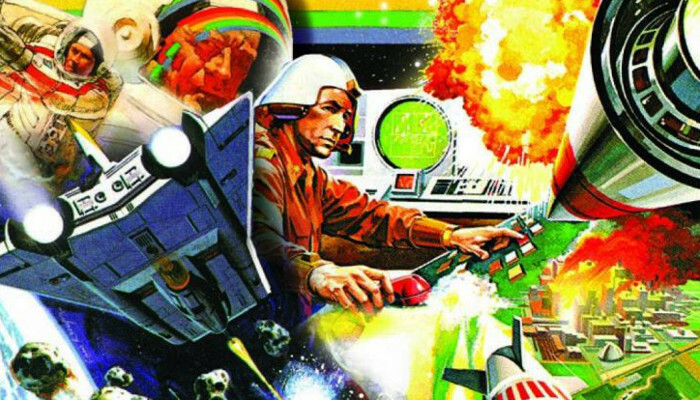 But we at Retrovolve have your back: A complete list of games found on Vol. 1 can be found here, and Vol. 2‘s games are listed below.